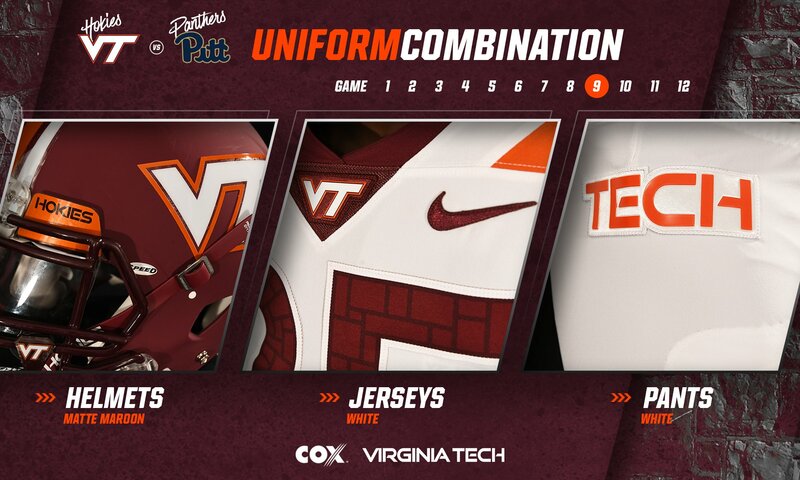 Virginia Tech Football’s uniform reveal for the road game at Pittsburgh hearkens back to a fun road game earlier in the year: the Hokies’ win at Florida State. The uniform is the matte maroon helmet, white jersey, and white pants, same as at FSU. 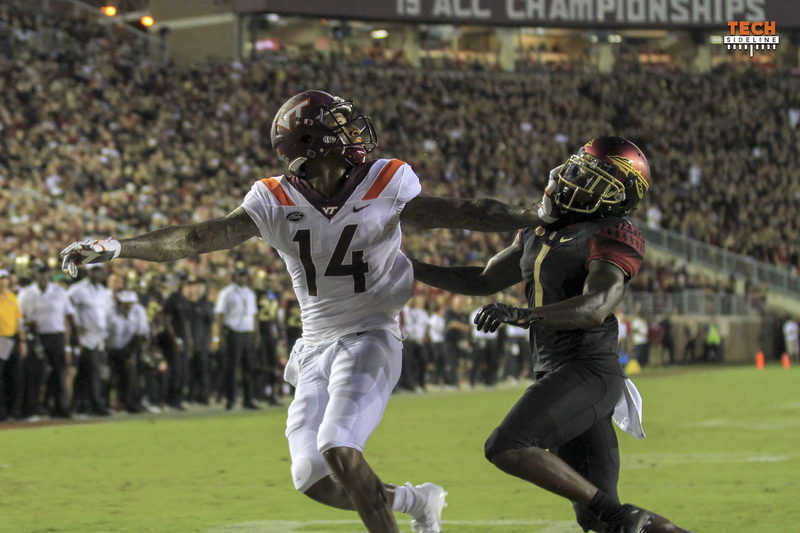 This is the third time the Hokies have worn the matte maroon helmets this season (@FSU, Notre Dame), and the first time the Hokies have worn this combination since the season opener at Florida State. The Hokies (4-4, 3-2 ACC) and Panthers (5-4, 4-1) kick off at 3:30 on ESPNU. Wish it had white facemasks. Crank out 40 plus big ones!! !